Question:What is your memorable birthday experience and How did you celebrate it? Answer: My memorable birthday experience is my 18th birthday. We celebrated it at home. It is not as luxurious compared to the usual debut but it was remarkable because I truly felt the presence of my whole family, friends and loved ones. When I celebrated my 18th birthday more than twelve years ago, I have three wishes and it all came true. That makes it super memorable for me. So what are my three birthday wishes? First, I wish that may I and my siblings finish all our studies. Secondly, I wish for the good health of my family and peace. Lastly, I wish to meet my soul mate. My three wishes came true and surprisingly, after that wish I met my soul mate, my first boyfriend who is now my husband. Question: What are the things/situations that would make you feel like levitating? Those are the things that would make me feel like levitating. Simple things makes me happy, relax and contented. I don’t have a photo of a jump shot but I would really love to have in the near future. I would like to share this post about the campaign â€œA Cent for Kassandraâ€™s Hearing Aidâ€œ. By joining the contest, you will not only help Kassandra but you may also win a Vintage Necklace. For the mechanics on how to join kindly click the banner below for the complete details. The Contest ends on April 5, 2011. Thanks to people who helped Kassandra in buying her hearing aid. Here is another cool blog contest by http://www.justanotherpixel.net that started from October 30, 2010 and will end until November 30, 2010 so hurry join the contest and you may win lots of prizes over $300.
? Everything Nice! ? News Break Online ? Fat Girl No More ? Written by Mys ?
? My Thoughts, My Heart, My Turf ? ZoWanderer ? Just the Tip of an IceBerg ?
? Just About Anything ? Blogger Manila ? Dress Up Your Blogs ? Pinay Mom ?
? Certified Foodies ? Pinay Online Money Maker ? Pinay Reviewer ?
? Georyl: Blogging with my Heart ? Pop Ups of My Mind ? Blog Tactic ? Grace in Creative Life ?
? Make Money Online and Beyond ? One Proud Momma ? Lover Mushroom ? Plate and Me ? Paula’s Home ? Make More Money Online ? The Miscellaneous Me ? Here, There and Everywhere ? Travels and Explorations ? Musings of Life ? Kharen’s Corner ? It’s Kha ? Noypistuff ? Jennyholic, Confession of an Addict ? Deej Speaks ? Techie Things ? Cups and Lowercase ? Live for Live ? Experience of a Super Mom ? Sharing my Thoughts ? Yashiro’s Journal ? Table for Five ? Internet Cafe Blog ? blankPixels â€“ The Geek Side ? I am adgitizing a few minutes ago when I came across with this cool blog giveaway by RYHEANNE. This is her first blog giveaway and I will try my luck again since my birthday is coming this November_ (lol). LEAVE a comment with the URL of your post, tweet and email here. If you are already an old follower just tell her. valid until November 25, 2010. 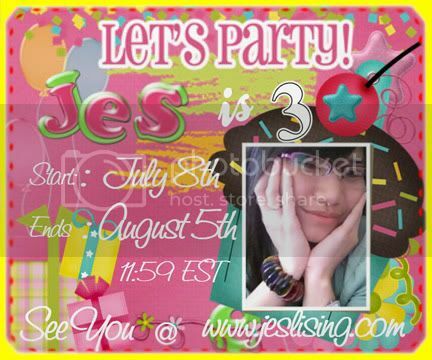 For more details please visit her Giveway link. I came acrossÂ with this Sweet November Goodie bags from PhoebeAnn contest and the prizes are really cool so I have decided to join. My birthday is coming on the way this November so I will try my luck if I could win any of these prizes (lol). I like all the goodies in this contest especially the photo of goodies below. 1. This contest is exclusive to Philippine residents only. 2. Contest runs until November 16, 2010 11:59PM Manila Time. 3. All contestants must comment on this post stating how they joined the contest (Twitter/Subscription/blog or Facebook entry). 4. A winner can only win once. 5. Winners must claim the prize at the designated meeting area in Makati City after the contest duration (will most likely be on a Saturday). If the winner cannot claim the prize herself/himself, a representative may be sent to claim on her/his behalf. Else, the prize may be shipped via MC Express but the cost will be shouldered by the winner. For more details please visit the contest link! 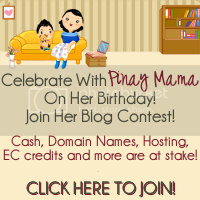 Burn is having a birthday bash blog contest that started last October 7, 2010 by which you can win in as much as $60 at stake. Place the contest badge on your sidebar. Add Slogged Over Leisure, Babycoy, MapehOrg, Lumad Basakanon, The Safemode to your blogroll or blog lists. Leave a comment on here saying that you are joining the contest. Multiple blogs are welcome. Just follow all the required tasks per blog. Fill up the form found here so she can count your entries. In determining the winners, random org will be used.